It's 90 degrees outside and I talk about Chanukah. 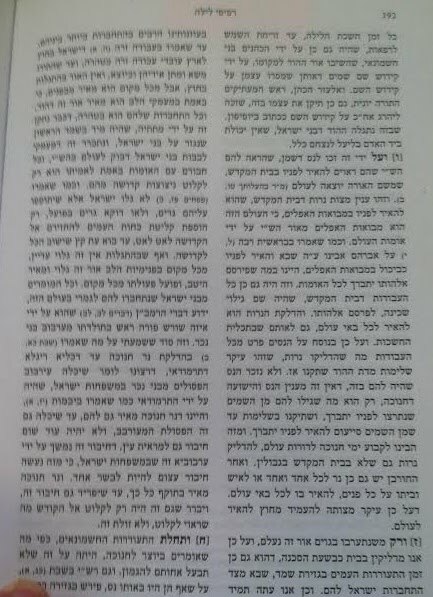 But today I saw a Reb Tzudek in רסיסי לילה - נ"ז - אות ו - in the new print - that Chanukah and the בית המקדש lights are to light up the dark alleys, which means the Gentiles. I guess he was a Lubavitcher too. But if we see these words as a metaphor for all year round, how it's our job to light up the dark alleys of גלות, maybe it's appropriate after all. Even in July. Especially in light of recent happenings in the Tri-State area. It may be a hard task, and maybe the odds are against us, but it's till our job. Despite all the prejudices. Do yourself a favor never quote reb tzudig, because you have no idea what he's talking about, its beyond your curve, trust me.